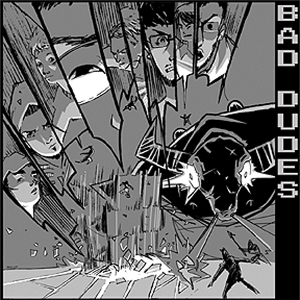 Back in 2006, The Bad Dudes were a new group on the video game remix scene, appearing with their self-titled debut collection The word “collection” is used purposely here because the 11 tracks on their first EP are too loosely related to be considered a true “album”. 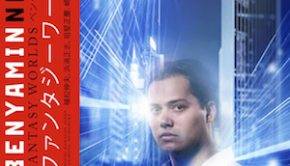 They are written by many individual artists, performed with a number of different instruments, composed with both live and sequenced tracks, produced in a number of different styles, and inspired by vastly different games. About two-thirds of the tracks included are pretty good, and the offering certainly surpasses many of the video game music community’s works. For a group’s first output, the EP isn’t awful, but it is clear that the Bad Dudes have improved dramatically with time. A compliment that can be unquestionably be afforded to the Bad Dudes is that their music is rarely repetitive. Many video game remix artists take source material that is limited and simply extend it to be too long; the Bad Dudes, by contrast, vary up their arrangements such that phrases are almost never repeated. Part of their success probably stems from their excellent track selection. There are no remixes on this album that fail simply because the wrong track was selected, and in nearly all cases, the group keeps tracks moving without painful pauses or breaks in the action. Furthermore, for good or for bad, the Bad Dudes determine what part of a game the original piece was intended to highlight, and the remix maintains the original’s purpose in the game story. It’s not difficult to tell which themes on this album are battle themes, and which are town themes, for example. “Koopa vs. Kefka” is by far the most original and interesting idea here. The premise is brilliant — take the Bowser theme from Super Mario World and the final boss theme “Dancing Mad” from Final Fantasy VI, and harmonize them. The listener won’t realize how similar these two themes are until experiencing to this piece. They both possess around the same tempo, are featured at climactic points of each game, and are written in a very similar key. The first part of the piece is a stunning live piano rendition of the Bowser theme, amongst the best performances of this theme the community has produced. The Kefka theme is then added in expertly, and would sound great if the organ didn’t come in and drown everything out. While it would be difficult to play, this piece would have been far better if both themes had been played on two pianos, or even if “Koopa” had been played without “Kefka” at all. As it stands, however, an incredible idea ends up as a dissonant mess in my opinion. Some positive points include Mazedude’s “Shadow Puppets,” which succeeds in creating a dark, ominous tone worthy of any villian. Mustin’s “No Excuses” is likewise an excellent remake of Final Fantasy VI‘s “Decisive Battle,” which sticks pretty close to the original version of the theme and could easily be included if the game were rereleased yet again on an “upgraded” console. The lonely drums highlight that there isn’t much going on behind the melody, however. “A Dark World” is a Zelda mix similar to those huge 20-minute long Impulse Tracker files that were ubiquitous on the Internet in the late ’90s. Unlike most of those megamixes that compressed entire soundtracks into one mix, however, “A Dark World” grounds itself upon a single Ganon battle theme. Many of the tracks on the EP are unremarkable. “Romancing the Bossa” is a pretty good jazz song that is ruined by MIDI-like low quality samples. “In the Streets of Fayetteville” is another unremarkable techno remix while “PMS” has a lot of bass, but not much else. zyko’s “Strange Island,” while not horrible, is also as forgettable as “muzak” that one might hear in a store or subway and was one of the more obscure track selections, taken from Adventure Island II. Albums like this EP demonstrate that the next step for the video game remix community is obvious — to record instruments instead of producing sequenced arrangements. The notes behind almost everything on this album are there, but many of these works are caught in limbo between meagre syntheitc sounds and live rock performances. Competitions like “Dwelling of Duels” add to the confusion created by these mixes by requiring that only one track a remix be performed live, which in many cases results in the negatives of both types of production being present. The community, including the Bad Dudes, obviously has a lot of talent in writing music, and the poor way that “Romancing the Bossa” and “Koopa vs. Kefka” are executed shows that it’s past time for video game remix and cover bands to take it to the next level by exclusively releasing live recordings. While there is some good material included here, it’s unlikely that many listeners will be repeating this EP over and over. The tracks that have the most promise are ruined by bad production, and there are a large number of tracks that don’t stand out. The work isn’t as much an album as a collection of music that has little in common, and the distribution of the zip file containing the tracks doesn’t even make it clear what order the tracks are in. Certainly, this work is a disappointment compared to the Bad Dudes’ more recent offerings such as the excellent Castlevania: Symphony of the Night – Resurrection. It would be a mistake, however, to be deterred from enjoying the group’s other albums simply because this one falls short, because The Bad Dudes can do and have done much better than this. Posted on August 1, 2012 by Stephen Sokolowski. Last modified on January 22, 2016.